You will fall in love with this 55+ community of Willow Gate the minute you enter. The home is neat, clean and move in ready. It boasts an open floor plan with cathedral ceilings and trending wall palette colors. The home comes totally furnished and is ready to become your winter or year-round home. The kitchen has been updated with beautiful granite countertops, new sink and coordinates with the wood cabinetry and tiled flooring. Sliders open from the dining room to the enclosed Florida Room with sliding windows for year-round use. This additional space will extend your living area. A back door leads to the outside. The master bedroom has two walk-in closets and a master bathroom with new granite counters, sink and high toilets plus a step-in shower. The guest/hall bathrooms have the same updates. You are a short walk to the clubhouse, shuffle board courts and pool. A new roof is on the schedule to replace the old one. The AC unit was replaced two years ago. The dishwasher and garbage disposal have also been replaced. The yard is nicely landscaped and has flowerbed curbing. 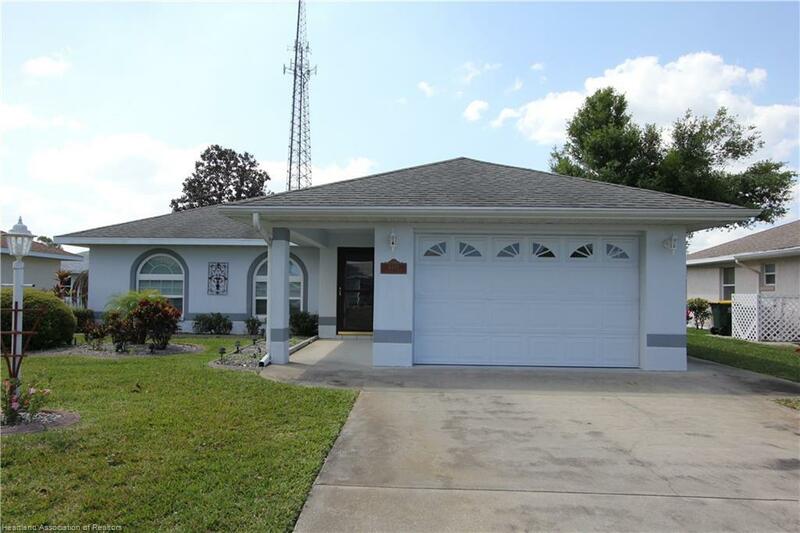 The community is centrally located in Sebring just off of US 27. Come take a look today and call Willow Gate home tomorrow.